Bathrooms in Leeds from Doug Cleghorn Bathrooms true luxury. Why we are the best place for new Bathrooms in Leeds. If you’re looking for bathrooms in Leeds and don’t know where to start then why not pay a visit to Doug Cleghorn Bathrooms, Leeds Showroom. Doug Cleghorn Bathrooms started life as Doug Cleghorn Building Services in 1997. After spending 10 years specialising in bathrooms Doug Cleghorn Bathrooms was born. This expert knowledge in bathrooms is what sets Doug Cleghorn Bathrooms Leeds apart from all the other showrooms you may decide to visit. Find out more here. What makes them different from other bathroom showrooms? 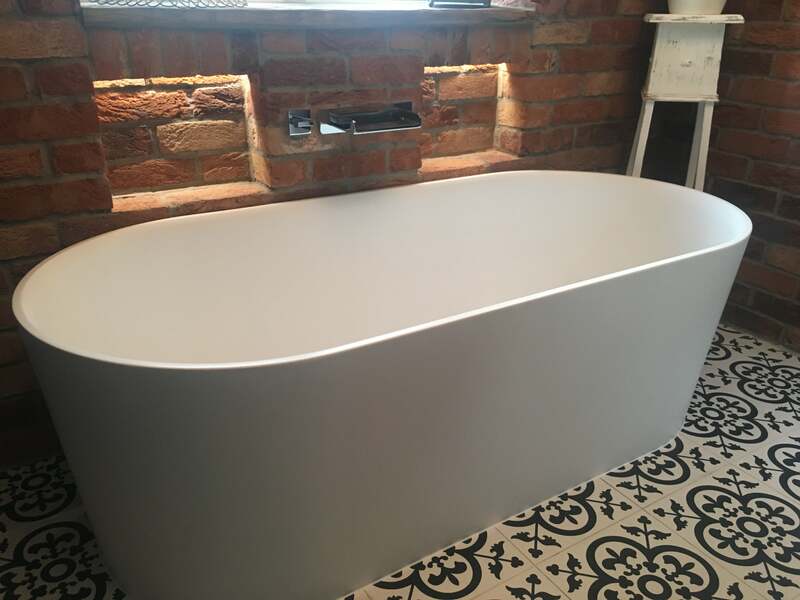 Doug Cleghorn Bathrooms don’t sell hundreds of different brands or boast at being the largest bathroom showroom in Yorkshire or constantly have a sale making you feel you’re buying a sofa. What they do best is hand pick every manufacturer they sell based on the quality and ensuring the guarantees cover all aspects of the products. They work with you to put a bathroom package together that is giving you the best quality for your required budget. Doug Cleghorn Bathrooms Leeds Showroom has a great variety of bathrooms and tiles from a handful of manufacturers. With displays being the same size as real life bathrooms people have in their homes. This helps you to get a real feel for what your new bathroom can look like. They are also renowned for their expert knowledge and as being a specialist bathroom design centre. Where required they can spend the time with you designing your bathroom helping you select the correct products that meets your style and budget. So rather than spending days on end visiting numerous bathroom showrooms, if you have an eye for quality and are looking for a high level of service I’d invite you to visit Doug Cleghorn Bathrooms Leeds and see the luxury and quality products they can provide you for your new bathroom.